During his solo stint aboard the International Space Station, commander Chris Hadfield–the first Canadian astronaut to hold the post–made hundreds of thousands of friends via social media. The first Japanese commander, Koichi Wakata, will have a different sort of friend: Kirobo, a talking robot that arrived today at the ISS. Kirobo arrived aboard a Japanese cargo ship alongside 3.6 tons of additional food, supplies and equipment, including a new freezer, samples for experiments and four small CubeSat satellites. The crew will begin unpacking everything tomorrow. The unmanned ship spent six days traveling since taking off from Japan. 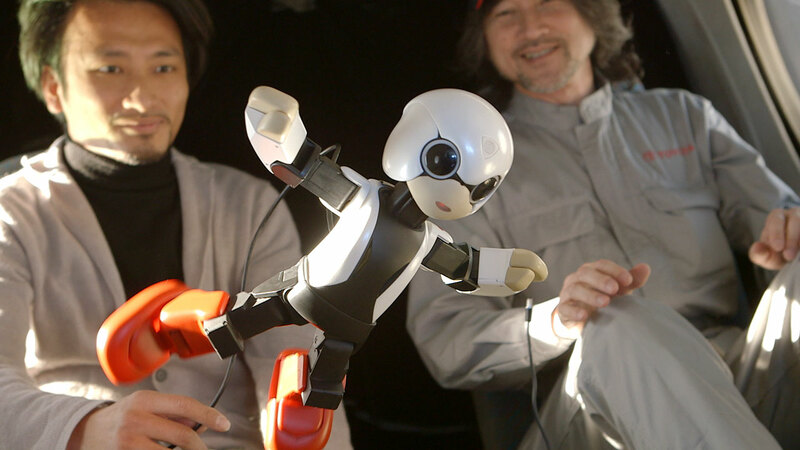 Standing at just over a foot tall, Kirobo will spend 18 months on the space station as an astronaut companion. The robot can recognize faces and speech and is specially built to operate in zero gravity. Kirobo will also act as a link between Wakata and the Japanese Aerospace Exploration Agency. It will relay messages and monitor Wakata’s mental state. Kirobo itself is a bit of an experiment. Its time on the space station will be used to assess how well robots and humans interact, informing future production of similar robots. It is a collaborative effort between PR firm Dentsu, Toyota, the University of Tokyo, the Japanese Aerospace Exploration Agency and robotics company Robo Garage.